There’s nothing like the power of social media or online petitions to create valuable change in society. It actually works! Change.org is a wonderful platform which allows everyday people to voice their concerns and get through to powerful people normally unattainable. That is exactly what one family did to make a difference in the lives of young cancer patients. Melissa Bumstead from California is an ordinary mom, with an extraordinary story. 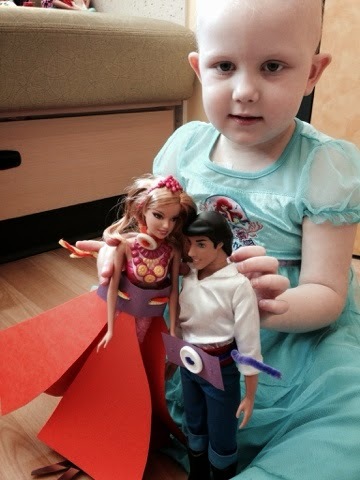 Her 4 year-old daughter Grace was recently diagnosed with acute lymphoblastic leukemia. Melissa and her husband did not know how they were going to explain to their sick daughter that part of the treatment would mean losing her hair due to chemotherapy. During her stay at hospital, Grace was given an “Ella” doll by one of the nurses. 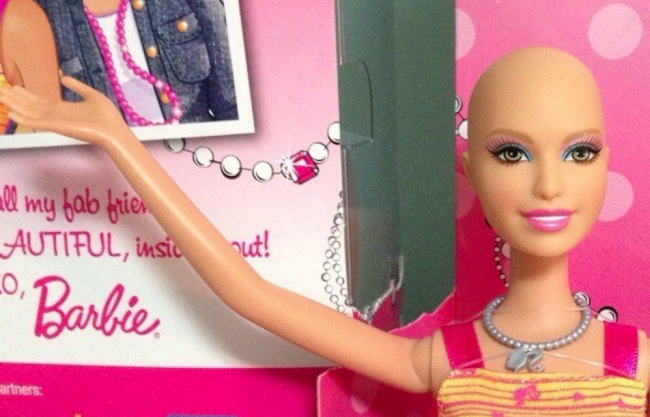 The Ella doll is a special limited edition character made by Mattel, who has cancer and wears different wigs due to her hair loss. The doll is not sold in stores like other regular Barbie dolls. The Bumsteads found having access to such a unique doll enabled them to talk to Grace about cancer and chemotherapy in a way that she understood, and had somewhat of a comfort knowing her new doll went through the same situation. Melissa also found out that the hospital only had 6 of the dolls to give out, which made her want to do something so more young girls had access to such an awesome type of doll. 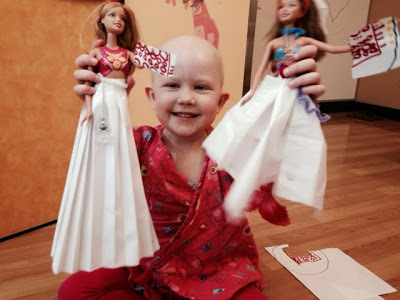 She launched a petition on Change.org urging Mattel to manufacture more of the Ella dolls each year so that every young cancer patient could have one. “I know how much this doll helped us bridge a very hard topic and I know how much this doll will be a special friend to our daughter once her hair falls out. Please help us ask Mattel to make more of these amazing Barbies. We’d like every chemotherapy patient to have access to such an important and beautiful doll,” Melissa wrote in the campaign. The petition was a success, received over 100,000 signatures! Her story was covered by CBS News and HLN TV. Melissa sent the petition to a Mattel spokesperson who responded very positively. Because of the petition and its ability to show Alex how valuable these dolls are to girls, Mattel have made a promise to put Ella in more hands at hospitals around the country. There is a Facebook page dedicated to the Ella doll where personal stories of cancer patients are shared amongst a community looking for support. Melissa Bumstead writes a blog sharing her journey as a mother of a daughter who has cancer, which in itself is a source of inspiration and strength to many going through the same thing. It’s awesome to see everyday people rising up and creating change in their world, but it’s also inspiring to know that with a bit of determination, you can infiltrate big organizations and corporations to do the same thing but on a larger scale. Grace we wish you all the best and are praying for a swift recovery. As for Mattel, double thumbs up to you guys for doing something noble and effective in the lives of young girls!